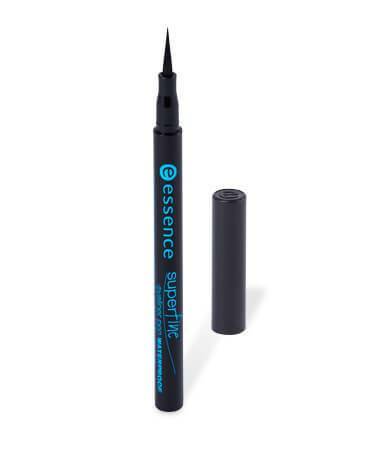 superfine eyeliner pen waterproof has a rating of 4.1 stars based on 74 reviews. Precise and extremely long-lasting eyeliner styles are easier than ever to create with this thin felt-tipped smudge and waterproof pen. Waterproof without any stain effect, any line you create from subtle to dramatic will remain intact. Aqua (water), ammonium acrylates copolymer, methylpropanediol, alcohol denat., acrylates copolymer, lactobacillus ferment, glycerin, panthenol, simethicone, caprylyl glycol, phenylpropanol, ppg-2-deceth-30, isopropyl alcohol, sodium laureth sulfate, biosaccharide gum-1, disodium edta, sodium dehydroacetate, phenoxyethanol, ci 77266 (black 2).